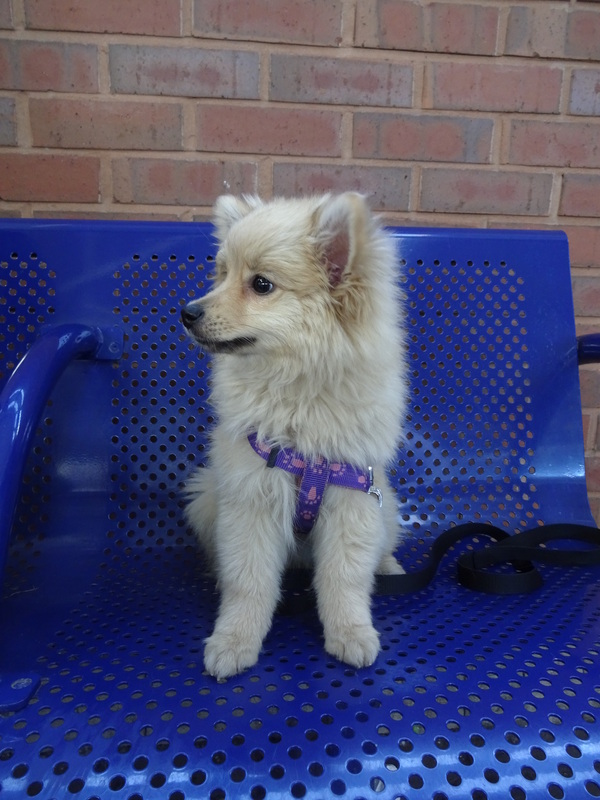 I was really lucky today and a soon as I stepped off the train in Bolton I spotted two chaps with a gorgeous puppy Pomeranian! I went over the say hello, I think a lot of people go over to say hello to him, Teddy is so fluffy and cute! I got to give him a little fuss! Favourite food: Teddy eats special puppy food. Favourite toy: A Squeaky toys which he takes everywhere!